Ed Atkinson studied Latin and Ancient Greek at the University of Michigan, Ann Arbor. He read some of the most respected thinkers and speakers in human history in their original languages, including Cicero, Caesar, Plato and Aristotle. 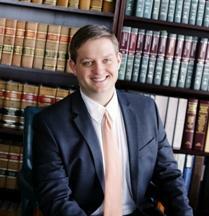 Ed studied law at Florida State University and has practiced law in a broad range of subject areas, with a focus on personal injury, criminal defense, divorce and wills and estates. As a trainer of competitive working and protection dogs, Ed has a unique insight into dog bite injury cases.